Frases Brillantes - Bright Phrases. : ¡LA DISTANCIA SIGNIFICA MUY POCO, CUANDO “ALGUIEN” SIGNIFICA MUCHO! 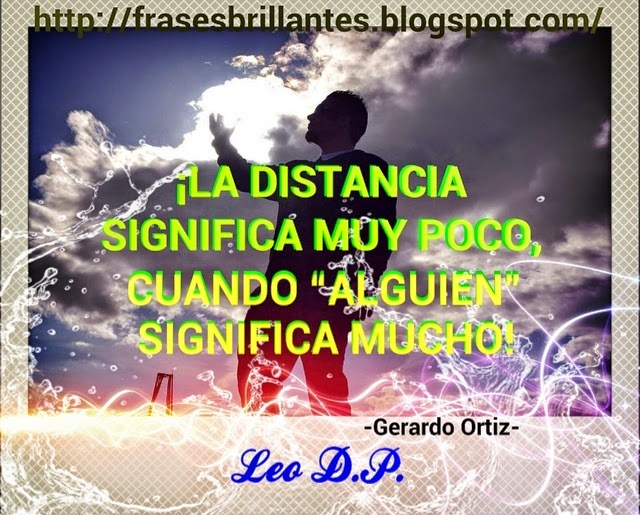 ¡LA DISTANCIA SIGNIFICA MUY POCO, CUANDO “ALGUIEN” SIGNIFICA MUCHO! Publicado por Unknown en 2:46:00 p. m.